Enterprise mashups and data visualization are becoming increasing popular because of their ability to support new “Web 2.0 like’ application requirements instead of traditional HTML-based web portal software resulting in faster development and a rich, interactive, user driven experience. Data visualizations offer a new way to speed up the process of bringing together critical information from multiple disparate information systems and empowering non-technical business users to interact with information that drive the organization. 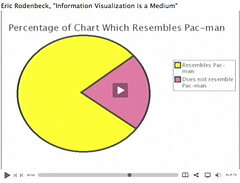 The potential of data visualization in an enterprise is great. In an effort to understand it organizations are reaching out to open source technology providers as a cost-effective and flexible means for organizations to get started with rich information dashboards, reporting and applications to all users inside and outside the firewall. BIRT (Business Intelligence Reporting Tools) is the leading technology that empowers organizations to create, customize and deploy enterprise mashups and interactive reporting for faster decisions and better business decisions. BIRT today is the most widely used open source BI software with more than 8 million downloads worldwide. Actuate founded and co-leads the Eclipse BIRT (Business Intelligence and Reporting Tools) open source project. BIRT is the premier development environment to present data visualizations in compelling ways via the web on any device. Actuate products add interactivity, dashboards, analytic, and deployment options for web and mobile applications.